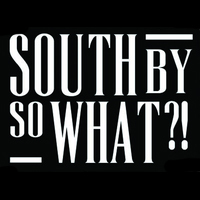 GRAND PRAIRIE, TX (CelebrityAccess MediaWire) — The 7th Annual South By So What?! Music Festival is scheduled to take place on March 14th, 15th & 16th at QuikTrip Ballpark, located just a short distance from downtown Dallas. Produced by Mike Ziemer and his company Third String Productions, the lineup for this year's festival features over 100 bands from different genres, including major artists such as, The Used, Taking Back Sunday, Bring Me The Horizon, Of Mice & Men, Asking Alexandria, The Devil Wears Prada, The Story So Far, Between The Buried & Me, August Burns Red, Motionless In White, We Came As Romans, and Mindless Self Indulgence. Tickets for the festival start at $45 for single day and three-day passes are on offer for $120.